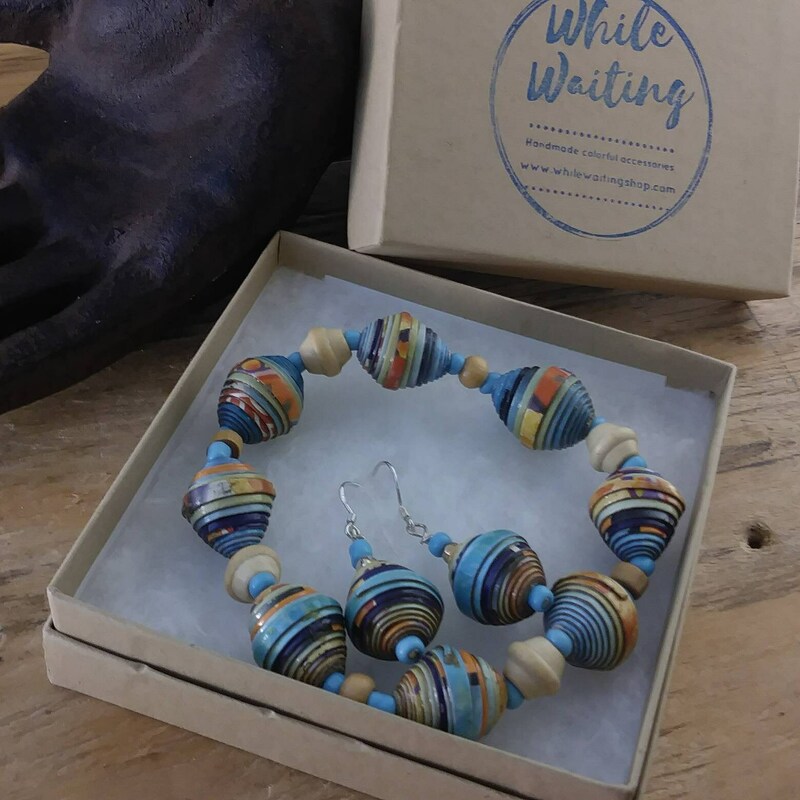 Choose a lovely set for someone special. 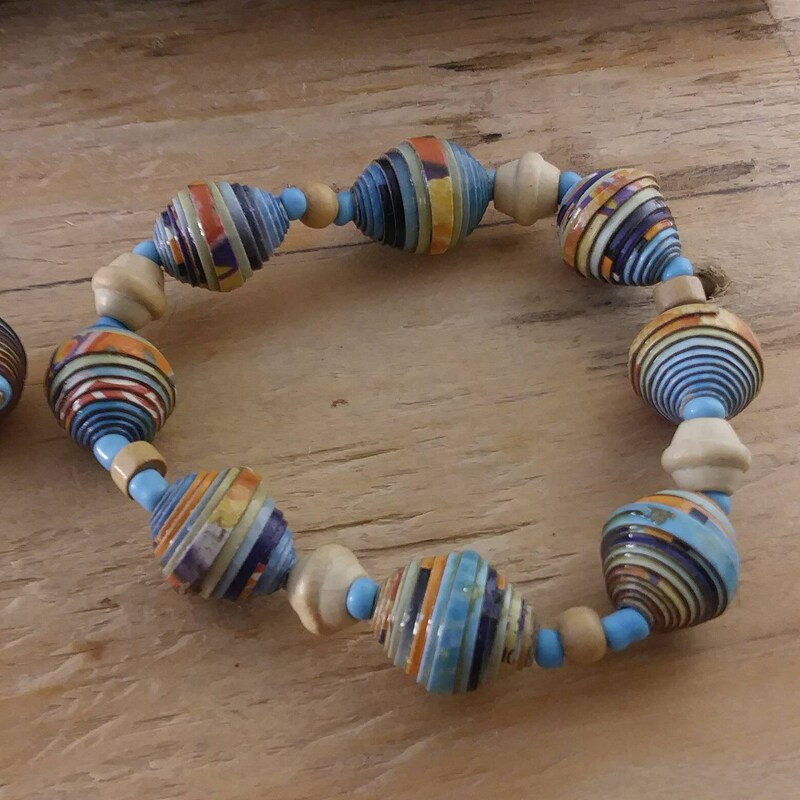 These bracelets are made with multicolored paper beads, likely a frosted flakes cereal box! 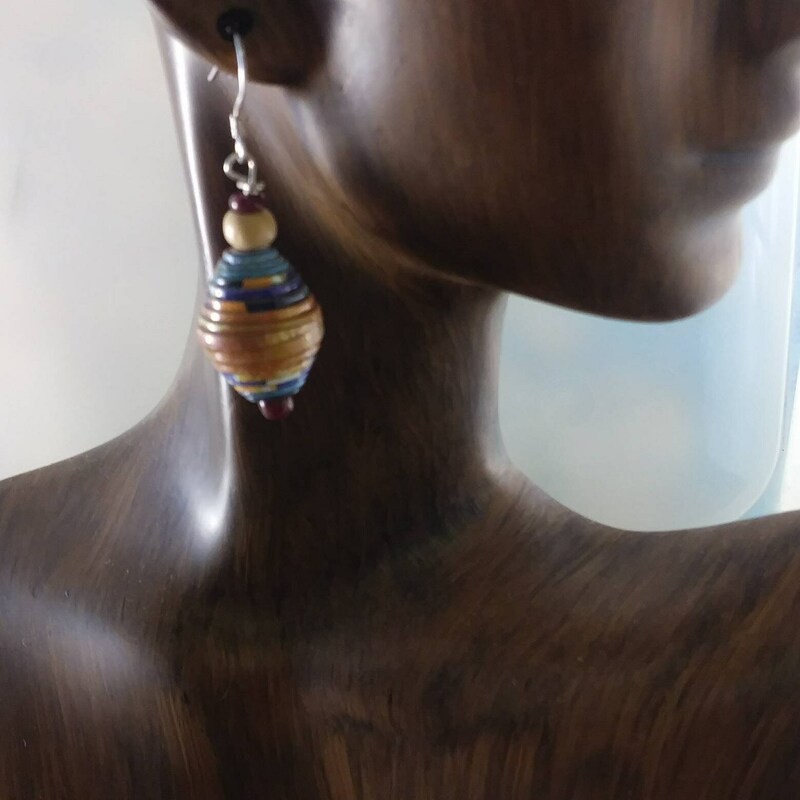 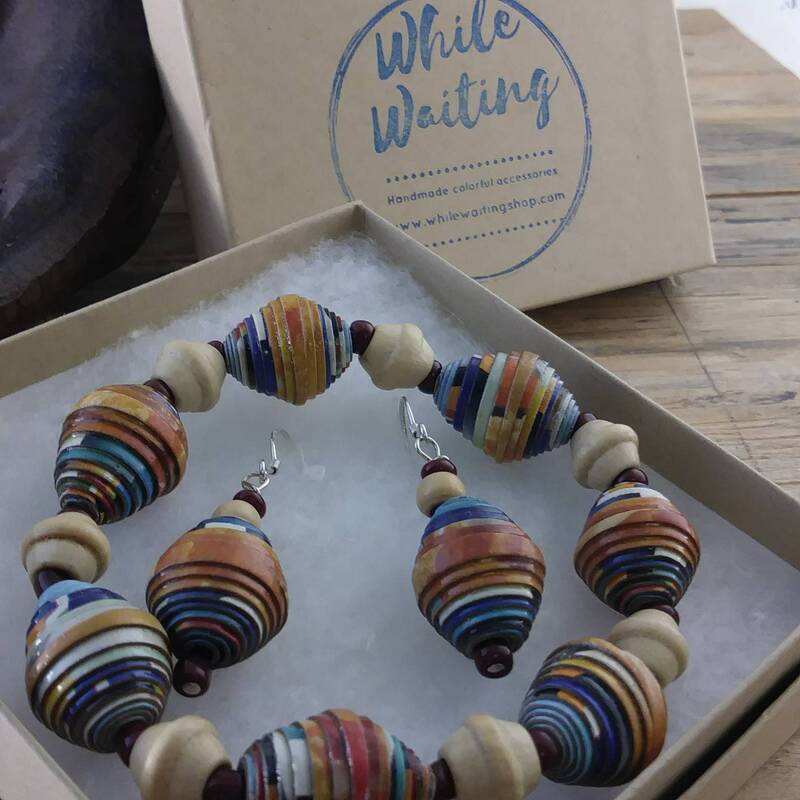 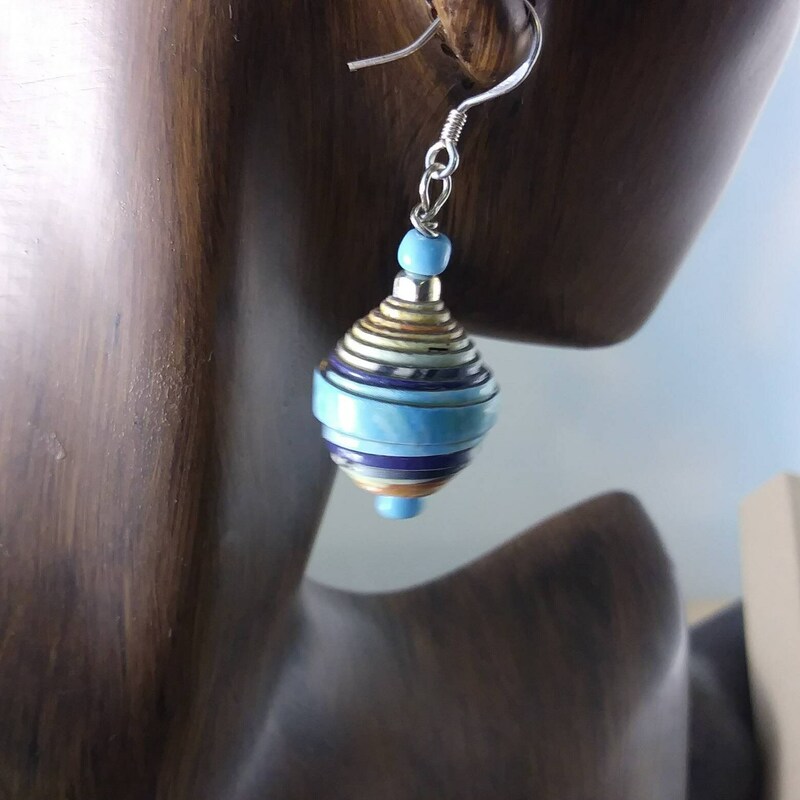 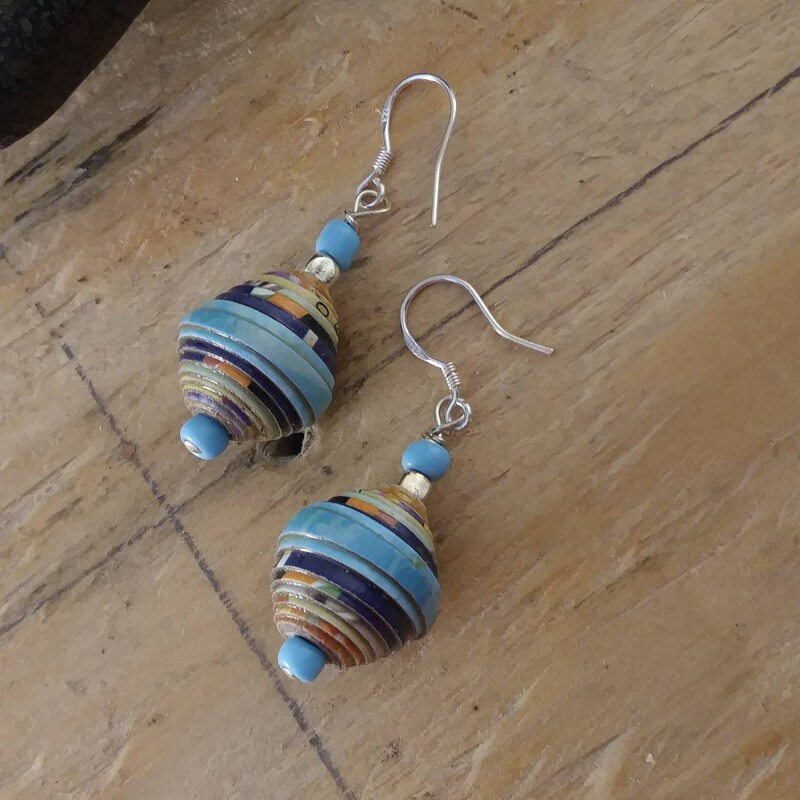 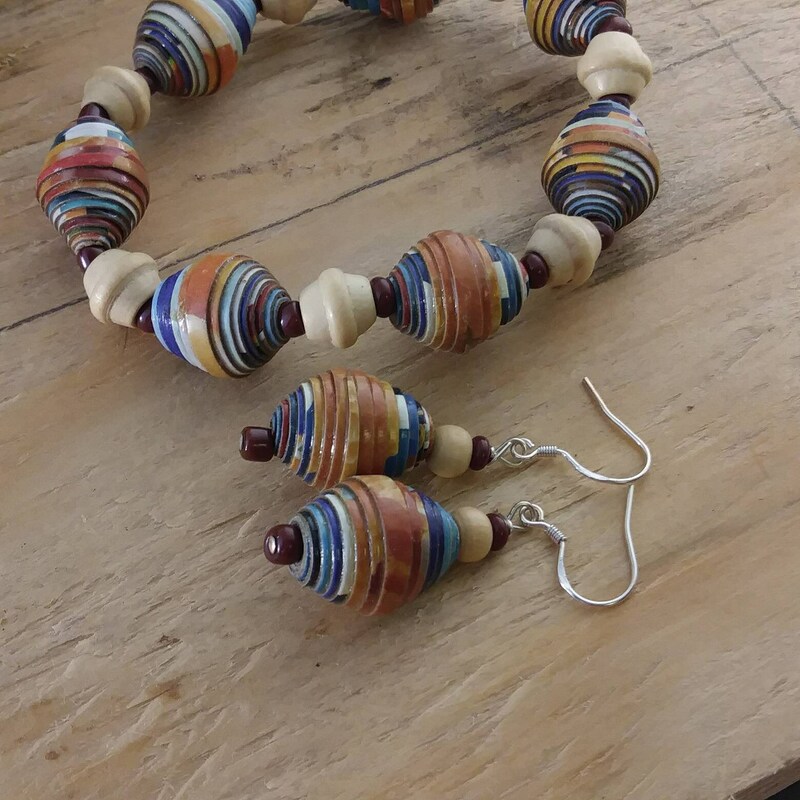 In-between are repurposed natural wood beads and little maroon or light blue glass beads. 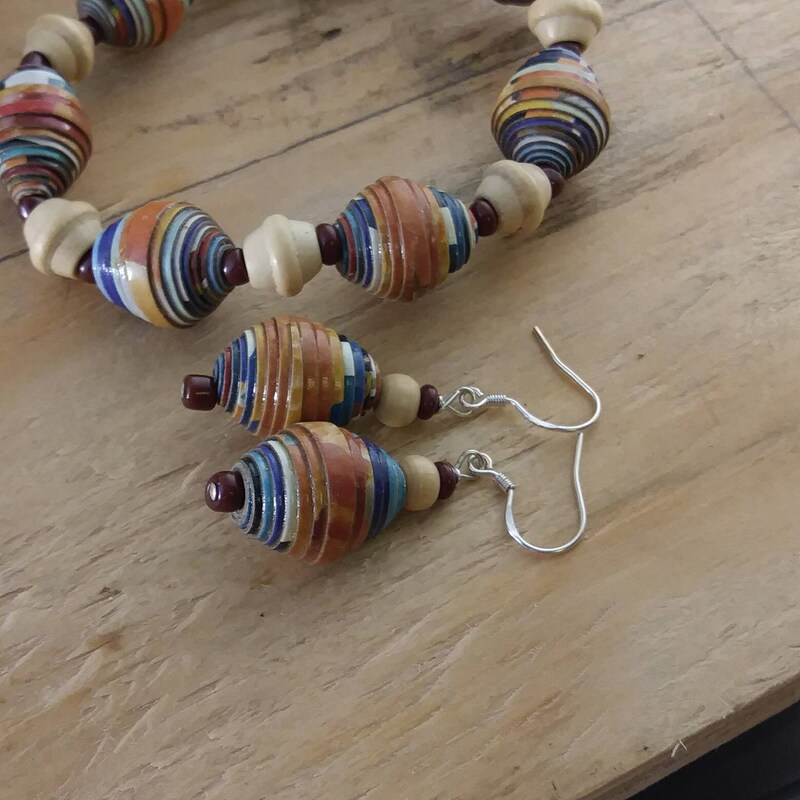 The earrings are made with sterling silver hooks and are just over an inch long.